Written on February 15, 2016 . Posted in Announcements + Updates, Liberal Arts, Library. 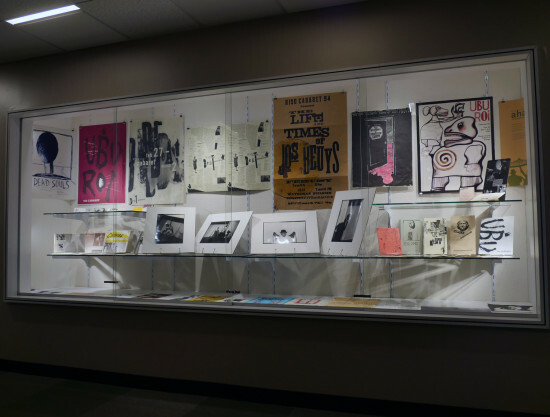 On Saturday, March 19th at 6:30 pm, Graham Visual + Material Resource Center (Fleet Library, Room 204) will host an evening celebrating the RISD Cabaret, 1987-2000. This art history and performance Wintersession course, taught by Szymon Bojko (1917-2014) and Agnieszka Taborska (Senior Lecturer, HAVC), directly involved students by immersing them in the art and culture of a particular time and place. Lectures, re-creations of historical events, rehearsals of the performance (devoted each time to a different topic), set-building, prop-making and costume-sewing would culminate in a show, presented to the public over three evenings the first week of Spring semester, on the third floor of the Waterman Building. The Cabaret had a faithful audience that came back every year. For many students it was a life changing experience. The evening’s program will consist of a screening, The Best of the 12 Shows, followed by a discussion with the participation of Special Guests, RISD Alumni and former Cabaret stars. 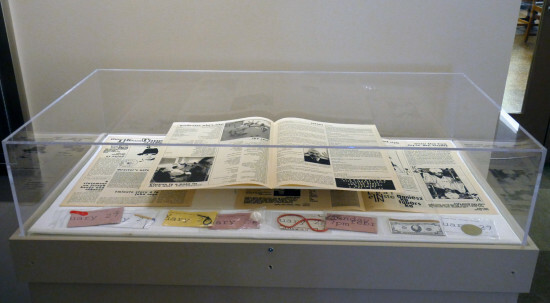 An exhibition of Cabaret posters, programs, tickets, photographs, and reviews published in Providence newspapers is on view on the second floor of the Fleet Library until the end of March.